In anticipation of our brand new production of Jesus Christ Superstar, inspired by the massively successful Arena Tour we've decided to introduce you to some of this years cast. First up is none other than Mark. A name many locals may recognise from the music scene but not too familar with the Bardic family. 1. Hi Mark, Welcome to Bardic Meets. For those who might know you, tell us who you are and what you do? 2. Can you tell who are you playing in Jesus Christ Superstar this year? 3. Have you played this role or any others before in Jesus Christ Superstar? Yeah this will be my third time playing the role of Caiaphas in Jesus Christ Superstar. The last time was with Bardic ten years ago. 4. Oh wow, so not a stranger to Bardic! How does it feel to be back with Bardic after almost ten whole years? It's great! Always a very professional company and a great cast and crew to work with. 5. In that time time that you've been away, what you been getting upto? I've kept myself busy with gigging both solo and with various artists and bands. I've done some extra's work in 'Her Highness', 'Game of Thrones' and most recently in the latest 'Underworld Movie', it was great fun and a great experience. I've also been working with some other theatre group's like Starmaker which allowed me the pleasure of reprising my role as Jake Blues in 'The Blues Brothers' stage show last year. 6. What's been the most fun and exciting part of the rehearsal process for you? I've enjoyed it all but I love it when we get to sing with the live band. For me that's when you feel the buzz that the show is really coming together. 7. Going back to your full time job, how many groups, duos and trios have you been a member of over the years? Oh! Your gonna have to give me a minute lol............ Well my first band was in 1988 when I was at school and that was The Skitz. Then in the 1990's I was on bass and lead vocals with Snoopys Picnic. I started singing as a solo act in 1999 under the name 'The Soulman' and in 2001 formed 'Best Served Chilled', which has had a few different incarnations through the years, always a two or three piece act. 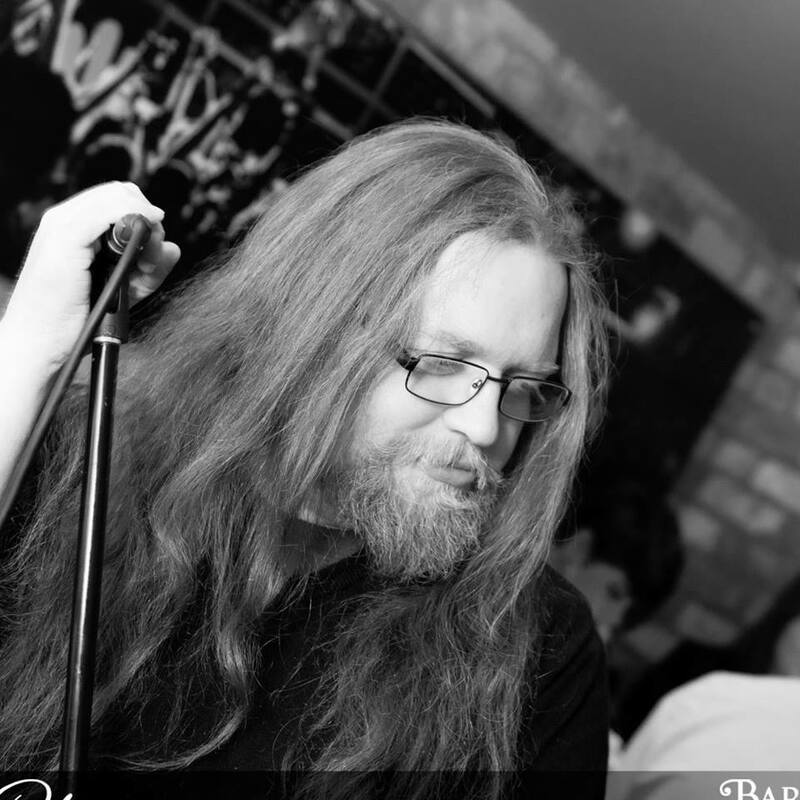 I had the Blues Brothers tribute act also on the go for about 15 years and I had the pleasure of being lead singer with the fantastic and very well known 'Circle the Moon Band' for about seven Years. I would have to say about 15-ish anyway. I like to be kept busy! 8. Out of those you just mentioned, what's been your favourite? I've had amazing experiences with all the acts and group's I've been with. However I loved Circle the Moon most because it was great to be working with such a talented bunch of Musicians, I loved working with the girls in Best Served Chilled we always had some great vocal arrangements and it was a great variety of Music. The Blues Brothers was fun aswell - I guess I can't really pick one. Sorry! 9. Any embarrassing moments on stage you'd care to share? There are loads it's just trying to pick one lol. I can't pick one so I'll give you a few., Getting the Bride and Grooms' names wrong at the first dance at the very first wedding I played was not a proud Momment. I remember playing at a Club in Belfast some years ago and being told by the door staff I couldn't go in because and I quote "Sorry mate we can't let you in. You look a bit too rocky!" That was fun, standing for half an hour trying to explain to them that I was actually the entertainment. I eventually got in after I phoned the agent who then called the venue and verified my story. Oh yes and showing up at not only the wrong bar but the wrong town one night many for a gig many years ago. That will have to do you! 10. Thanks so much Mark, we can't wait to see you on stage as Caiaphas once again. One last question before you go. Whats your favourite song in Jesus Christ Superstar? I love all the songs in the show but if I was pushed I'd have to say Heaven on their Minds. It's one of Judas' songs and I think the opening song of the show (What's The Buzz) after the overture. It lets the audience know that this is not just a musical but a rock show or rock opera if you will. Jesus Christ Superstar opens next Friday 26th Janaury 2018 at Bardic Theatre. Ticket's can be bought online here and from our Box Office at Stewart's Music Shop in Dungannon. You can also Telephone the Box Office on 028 87 761 859.